Everyone has had a good 24 hours to read their weekly books and I am ready for another installment of Thursday Morning Superhero. The DC #0 line continued with some great books, Avengers vs. X-Men is nearing its epic finale and creator owned books continue to shine a light on what comics are capable of achieving. I know I say this almost every week but it really is a great time to be a comic book fan. My weekly budget continues to frustrate me as I am forced to limit my purchases. On a side note, any publisher that wants to float me a free book I will happily include it in this section with no fear of any spoilers hitting the web prior to Wednesday. 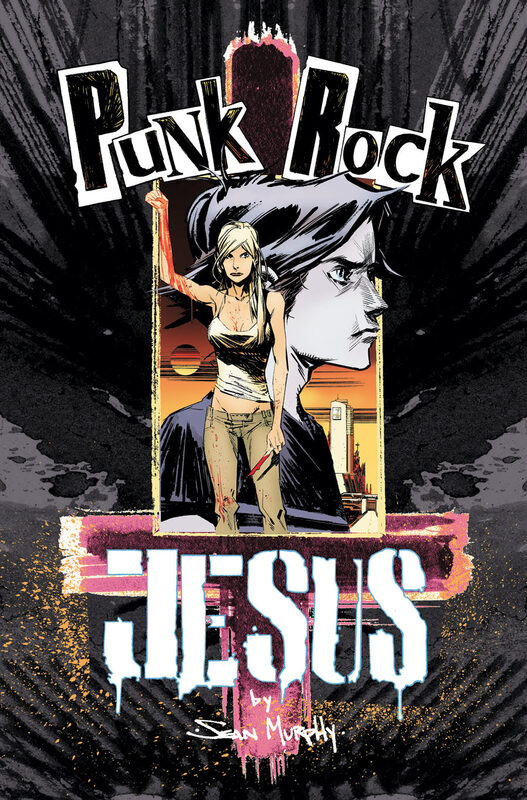 Punk Rock Jesus #3 –This was a book that initially slipped under my radar. Living in a smaller town, issue #1 sold out before I saw it on the shelf. After reading tweets from authors I respected and learning of the concept, I hopped on Comixology to get caught up. It is easy to get behind a book about a reality show based on the second coming of Jesus when he is cloned and implanted in a virgin for his rebirth. Not surprisingly, the general public isn't keen on this idea, but also isn't turning off their televisions when the show is airing. Gwen, the mother of Chris, is going through quite the bout of depression and isn't doing the show any favors. Chris attempts his first miracle and nearly drowns himself trying to walk on water. This was really a sad issue seeing the depression that Gwen was going through and the lack of identity as a real child Chris was dealing with. Sean Murphy really developed the characters to a level where you truly care for them and feel sorry for the situation that Mr. Slate has placed them in. The issue ends with an emotional conclusion that will leave me frustrated until issue #4 comes out. Normally I struggle with what to select as my pick of the week, but this was easy. Vertigo and Sean Murphy have one of the most captivating books on the market today, and this week dropped the emotional hook with amazing effectiveness. Kudos. Chew #28 – The first couple of arcs from John Layman were some of the best I have ever read. The concept of a detective who is a cibopath (someone who gets psychic readings from food) and must ingest the deceased to solve crime works on so many levels. 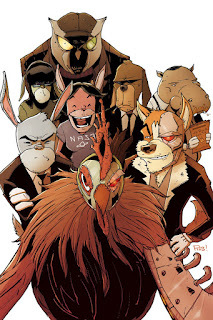 While Chew has had its up and downs in my opinion, it is currently on an upswing. Rob Guillory captures the fun of this series and delivers some of the most brutal pages in the industry. Newcomer Agent Poyo has been a pleasure since his inception and may be the best superhero partner in the biz today. Poyo is a cyborg Rooster who appears to be unstoppable. The fun and intrigue continue in a book that I continue to recommend to anyone who will listen to me. I am just really concerned about the condition of Tony Chu. A vs. X #11 – This issue had some dramatic twists and turns that will leave a lot of people talking. There have been parts of this series that I have enjoyed, but I have trouble getting past the cheesiness of the Phoenix Five. In most of the issues I can look past some of the design and dialog that bother me, but this issue was a tough read. I did enjoy the major twists and will continue reading the series, but I have been ultimately disappointed with this event. Batman #0 – As long as Scott Snyder is behind the wheel of Batman I am on board. The court of owls arc was brilliant and issue #0 told a great stand alone story of a young Bruce Wayne. While I didn't care for the second story in the issue, Tomorrow by James Tynion IV, it wasn't bad. I think having it in the same issue as the Synder story only hurt it. Not a bad issue by any means, just not on the same level as Chew or Punk Rock Jesus. Captain America #17 – When you combine Ed Brubaker and Captain America I am going to be one happy reader. The current story of the havoc the Discordians are bringing to earth behind the control of Zemo was action packed and left me wondering how it will be concluded in the next issue. Things don't look good for Captain America and crew, but I would be willing to wager that somehow things will be ok.
Batman and Robin #0 - After reading tweets from both Rob Liefeld (who hasn't been shy about his departure from DC) and Scott Snyder in praise of Batman and Robin I decided to give it a shot. This one-shot told the enjoyable tale about the upbringing of Damian as the next heir of the Al Ghul dynasty. While his upbringing is far from traditional (who else is trained by the league of assassins at the age of 5), Peter Tomasi definitely brings the reader on a journey that helps us understand why Damian is the way he is. I may be on board for the future of this series. Rocketeer: Cargo of Doom #2 – After listing issue #1 as one that I missed you think I would have been smart enough to pick up this book. I was not. Not surprising that Mark Waid has another success under his belt. Stumptown #1 – The start of the second volume from Eisner-Award winning Greg Rucka appears to have picked up where it left off. Private Investigator Dex Parios is on the case of a missing baby of a guitarist in what sounds like a great book. Per usual, please leave any comments, suggestions or send me any comics that should be included in this feature. I am at @newhousebailey so let me know what you think!